Home » Calibrating Air – Heating and Air Conditioning Blog » What type of Air Filter should I use? Welcome to the Winter heating season in Colorado. 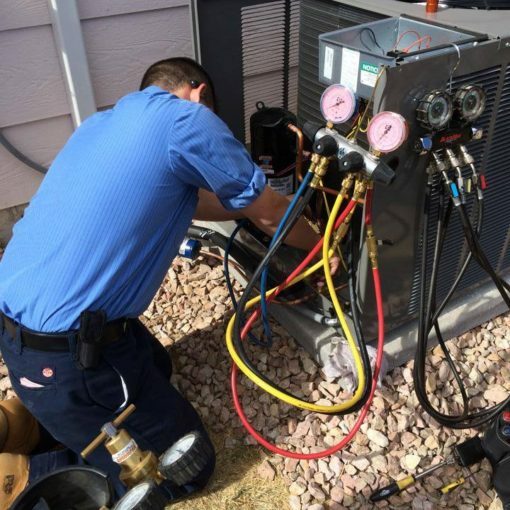 Most furnaces are working properly and keeping our homes nice and cozy, but you still have to perform preventative maintenance on your furnace. 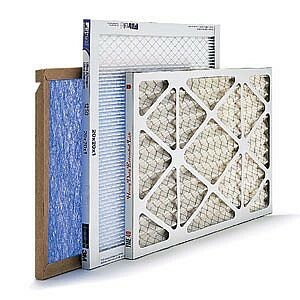 Changing your furnace filters every 30-90 days is recommended on all disposable filters. What filter type is recommended to use in your home? Cheap fiberglass filters vs. pleated filters? There are two main air filter styles, fiberglass and pleated. Fiberglass filters are made from spun fiberglass and are often blue or green in color. They are not supposed to clean your air, which some people may think. They are designed to protect the blower motor and a/c coil from dust, hair and other large items. They are cheap and allow the most airflow through the air duct system. 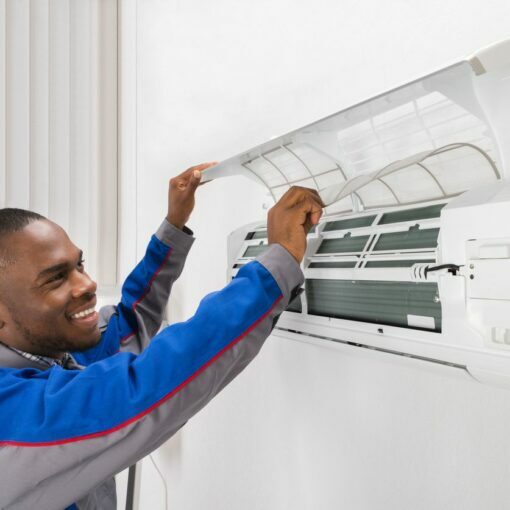 This allows the HVAC system to get the air heated or cooled quicker. There are also variants of this style that are made of polyester. Pleated Filters are sturdier and are designed to allow for more surface area to collect more dirt. They are made of a synthetic media or cotton, which filters out much smaller particles than spun fiberglass. They are usually more expensive and tend to restrict air flow through them. They get even more restrictive as they get dirty. A lot of homes in Colorado Springs have smaller ducts that were sized for heating. When we add an air conditioner to this duct system, it usually works harder to get enough air past the evaporative coil. 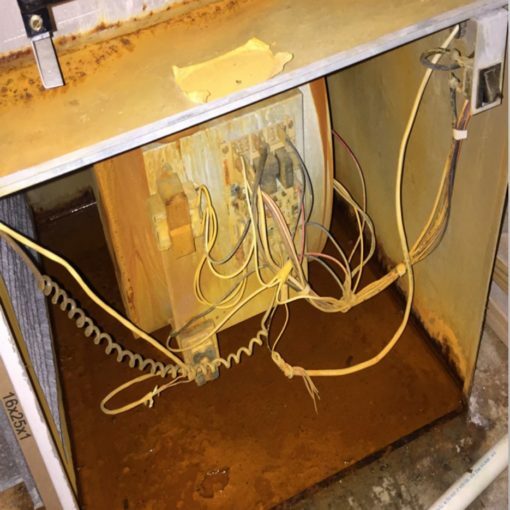 When you add a pleated air filter to this mix you get longer run times, or even worse an “iced-up” coil / overheated furnace! If you don’t care to clean the air, a fiberglass would be fine. If you are looking for solutions, particularly for the control of airborne bacteria, virus, pollen, spores and micro particles. A whole house Electronic Air Cleaner works on the simple principle of electro-magnetic attraction to remove harmful, airborne particulates from your indoor air. An EAC does not need to restrict the air flow as much to accomplish the same goal. With an air cleaner you will need to clean it and replace the filter media as often as it gets dirty. Some houses can go 6 months while other may need only 30 days between filter changes. When you are changing your filter make sure to check the size that is stated on the current filter. When you are ready to change your filter you should turn your furnace off to prevent the fan from running, but don’t forget to turn it back on. 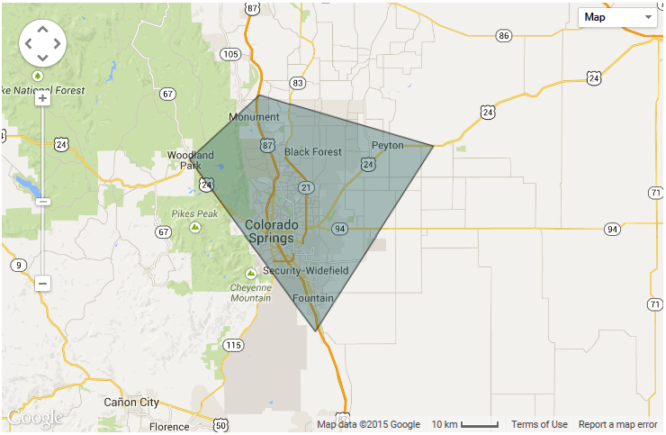 We know in Colorado Springs that our temperatures change frequently, and we want to be as comfortable as possible. Changing your air filter will help prevent damage to your furnace, and keep you utility bill low. Click here for more info on Electronic Air Cleaners.